This is not your kids hula hoop! 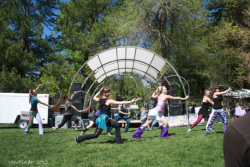 Hand made hula hoops are weighted properly for your size. They are durable, customized, and made lovingly by the Hoopologists! Click HERE to check our our hula hoop selection. To hire Sarah Lotus and the Hoopologists click HERE.